The first poster for the third instalment in the John Wick series has been released, officially confirming its title and release date. The simple yet effective poster sees Keanu Reeves’ titular Wick, looking a little lost and worse for wear, standing outside the Continental Hotel in the rain. Below the tagline ‘Excommunicado’, as you may recall Wick was declared ‘excommunicado’ at the end of John Wick: Chapter 2, is the film’s official release date which, as predicted, is May 17 this year. The film’s official Twitter account has also updated its name to the movie’s title – John Wick: Chapter 3 – Parabellum. It also looks like we will be getting a trailer very, very soon as a short video was also shared on the film’s Twitter account which tells fans to ‘text ‘John Wick’ to 91099 for a one hour head start’. Beginning that cryptic tweet with ‘and so it begins’, surely it means we will be treated to a trailer soon. Well, that is what I am hoping for! 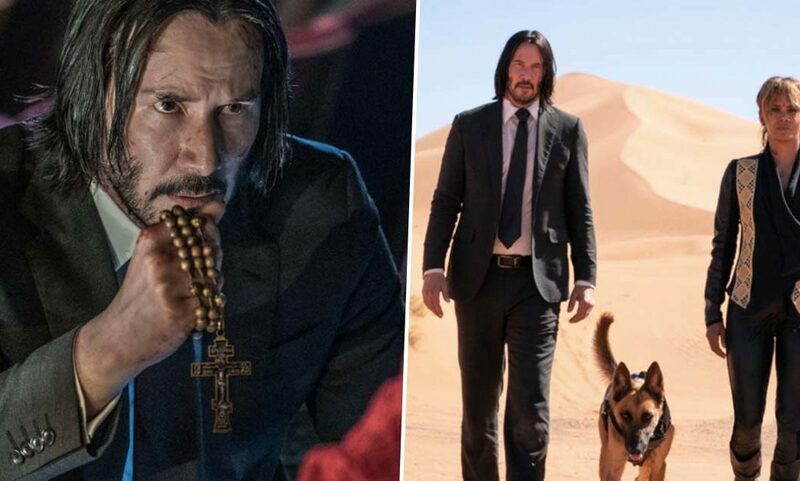 Not only was Wick declared ‘excommunicado’ from the Continental at the end of the second film, but a global bounty was offered out meaning anyone who kills Wick would earn $14 million dollars. This means Wick isn’t exactly in the best of situations at the start of Chapter 3 which is set to be the most violent entry so far in the series. Chad Stahelski, the trilogy’s director, revealed that the upcoming film will have the highest death count yet in an interview with Entertainment Weekly last year. Suggesting they will once again be upping the ante, Stahelski said the death count will ‘land slightly north’ of the previous films. That means a lot of people will be meeting their ends – Wick killed 128 people in Chapter 2 and 84 in the first movie. And with those numbers being only the people Wick killed in a world filled with assassins, Chapter 3 looks set to be a blood-filled blockbuster. The official synopsis for the third instalment also points to how violent it will be as Wick finds himself on the run. Now doesn’t that sound exciting! Ian McShane, Laurence Fishburne, Lance Reddick and Ruby Rose are all set to reprise their roles from the last films with Halle Berry joining the cast as Sofia, an assassin who wants to help John bring down the High Table once and for all. And because this is a John Wick film, Sofia is also a fan of dogs being the proud owner of two Belgian Malinois pups. Let’s now all hope and pray they survive the events of the film. John Wick: Chapter Three – Parabellum will crash into cinemas on May 17.